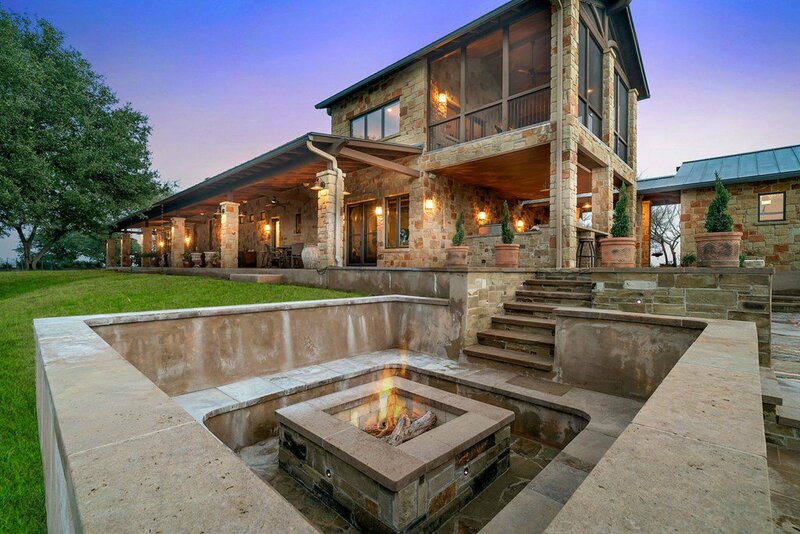 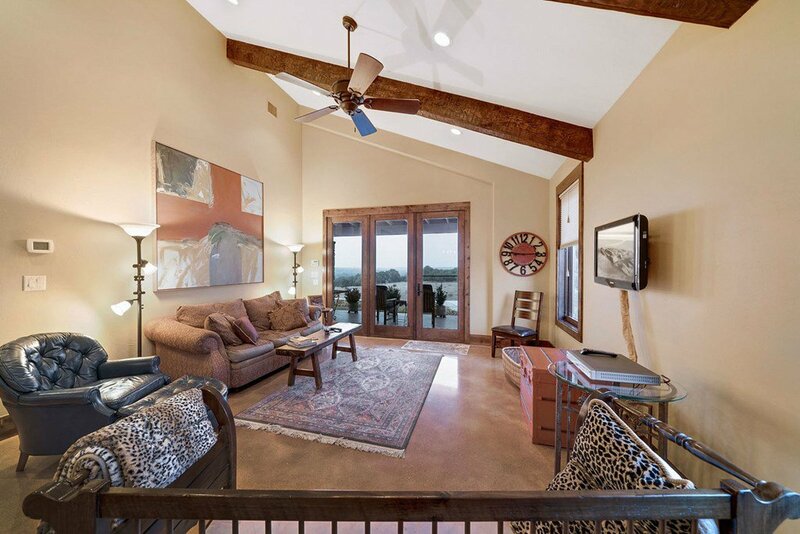 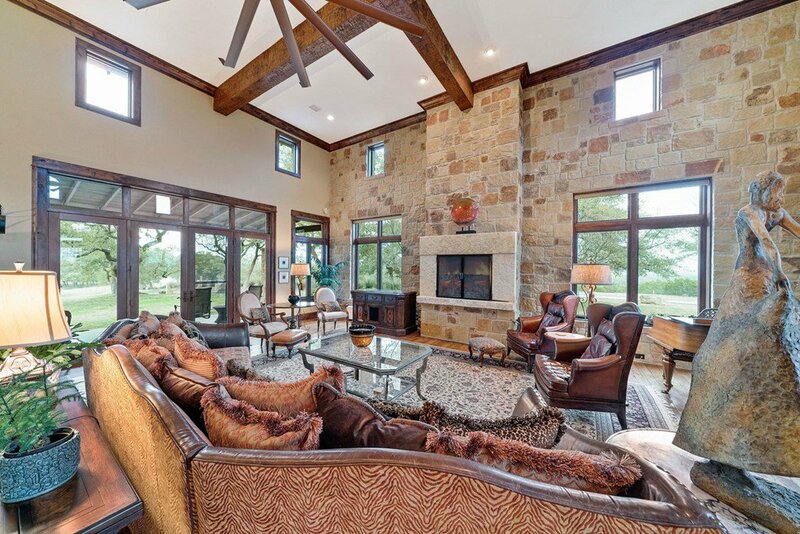 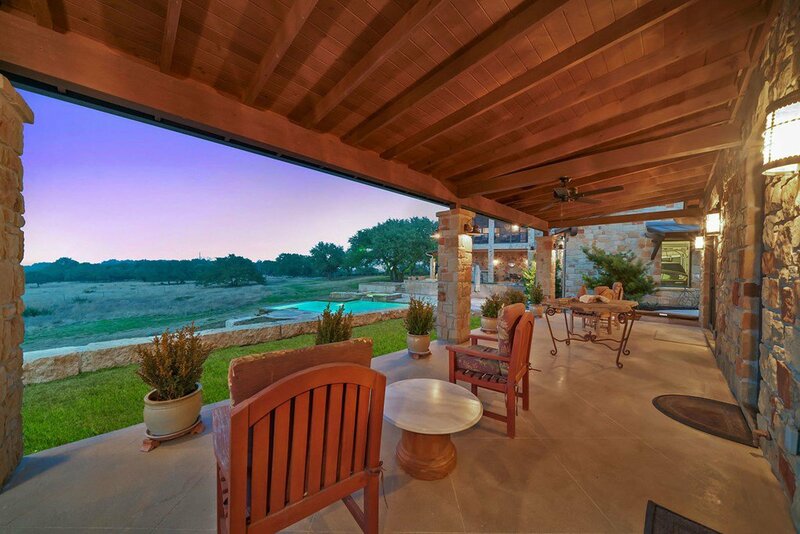 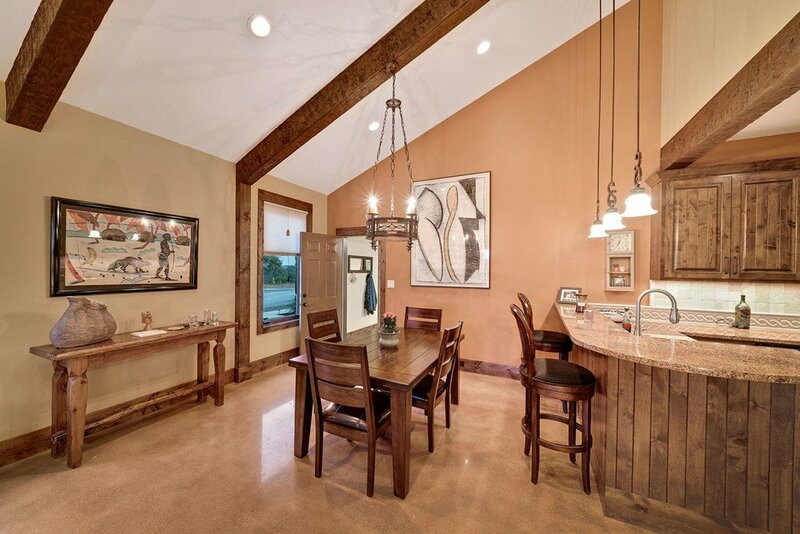 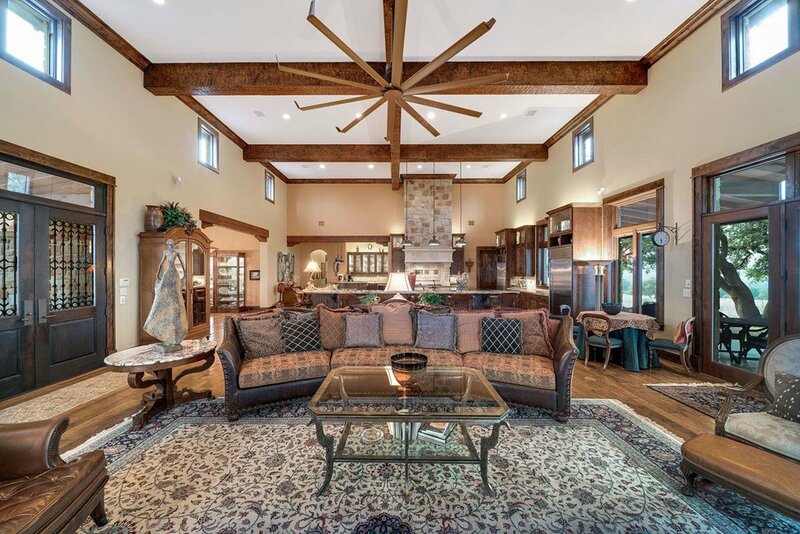 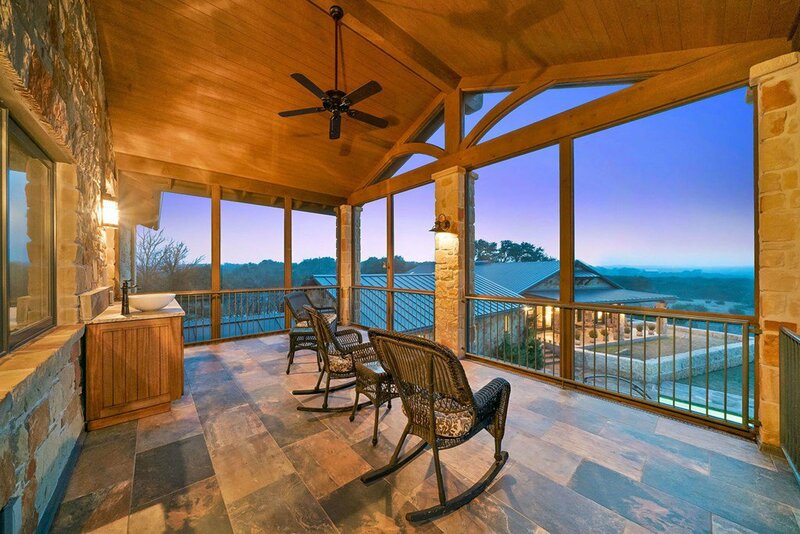 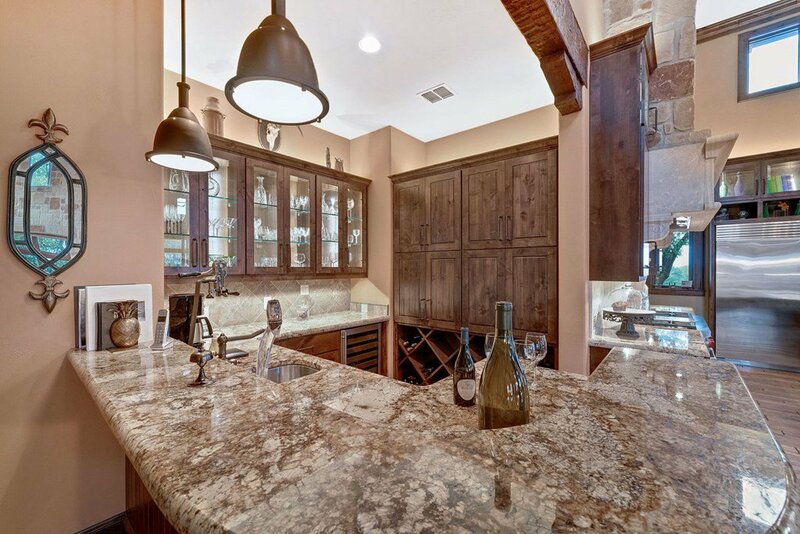 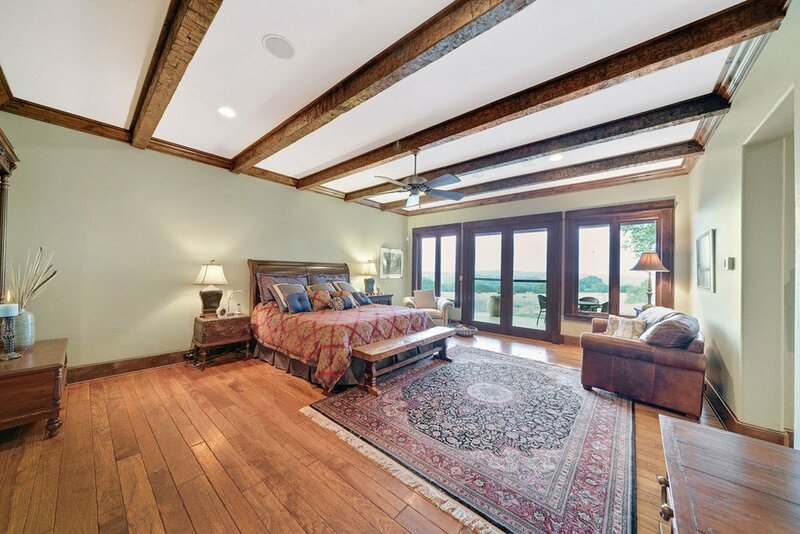 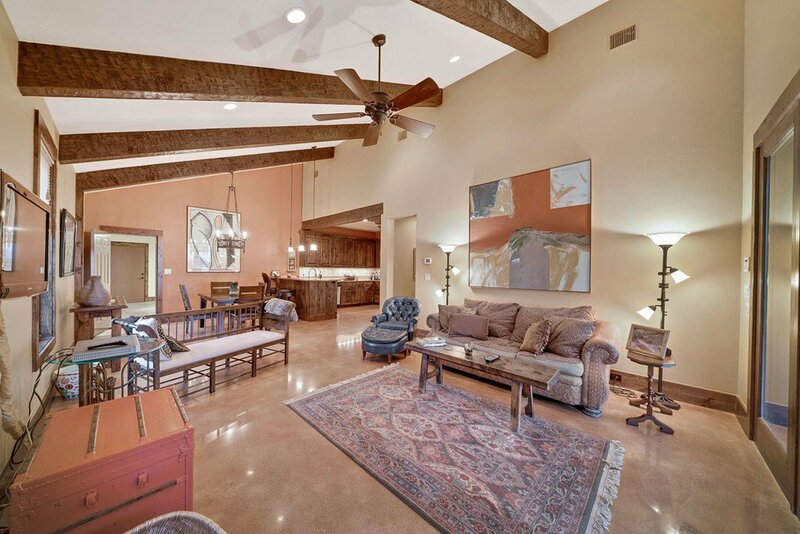 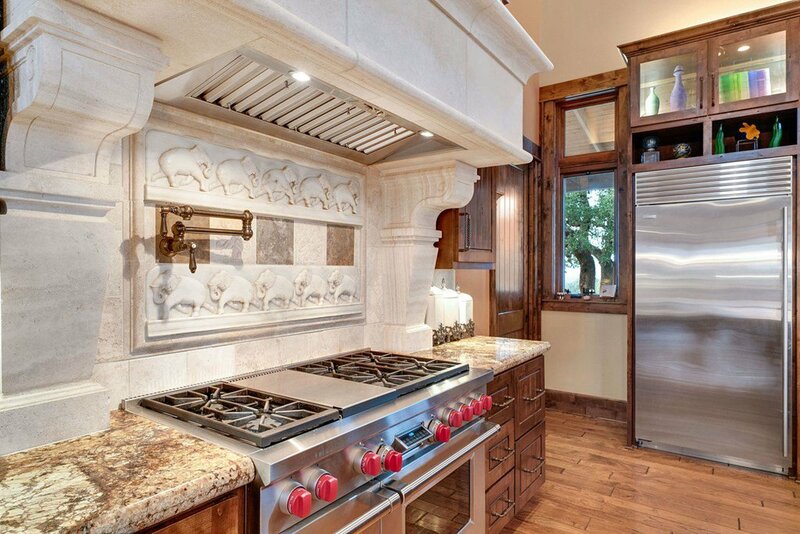 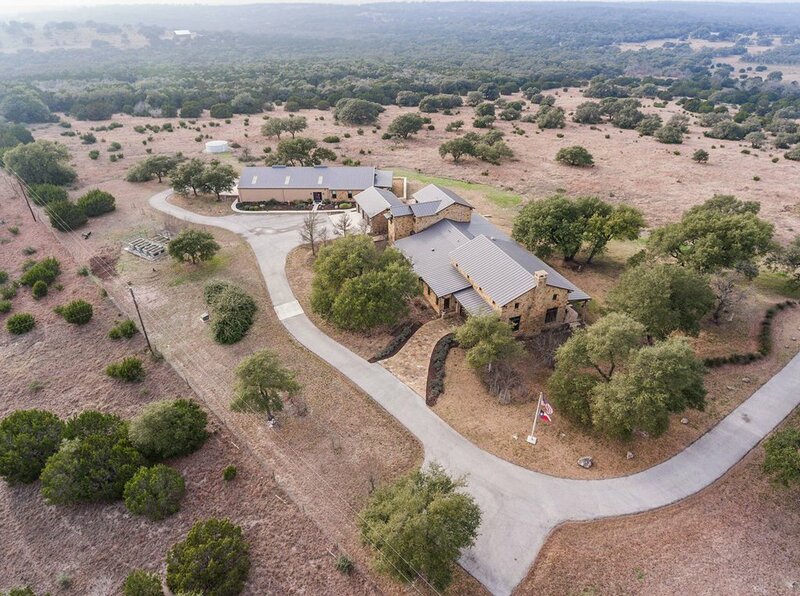 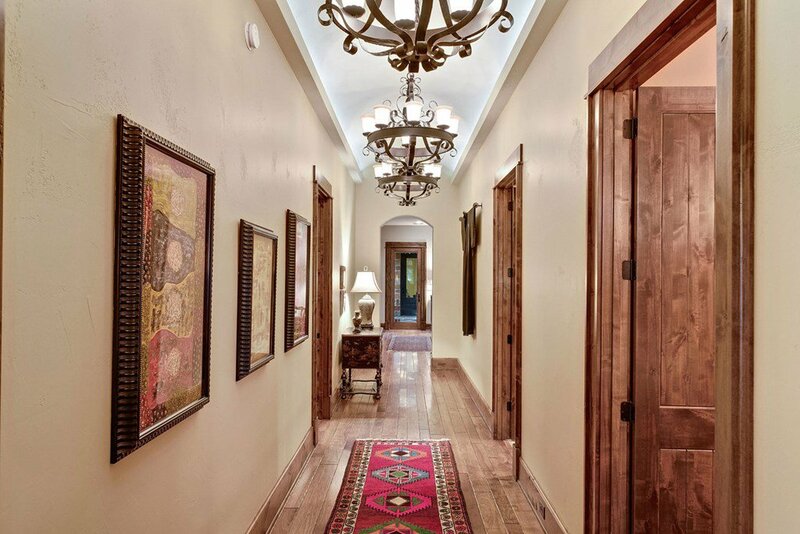 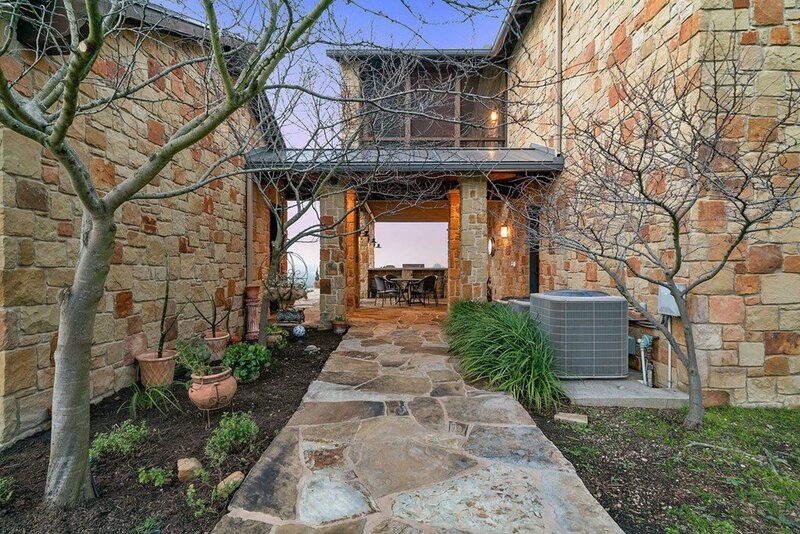 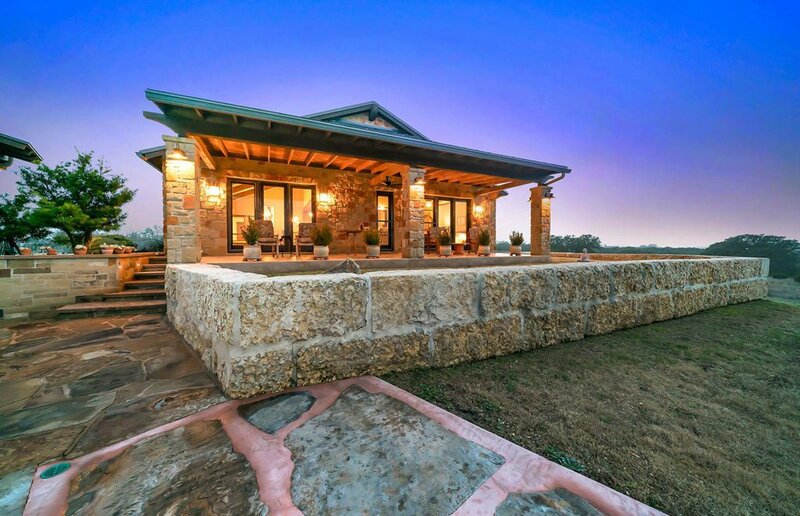 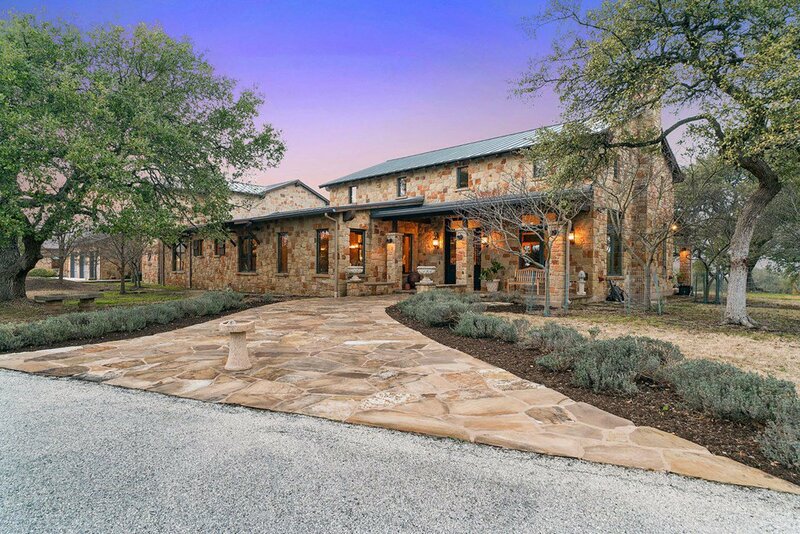 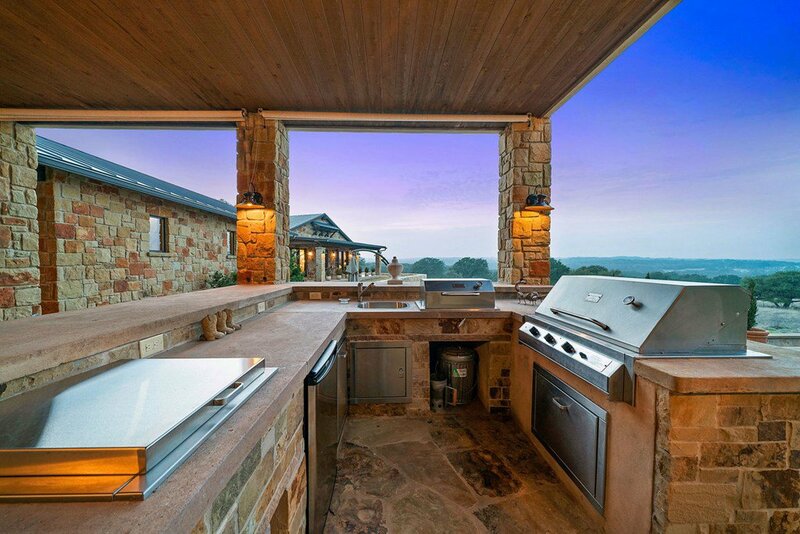 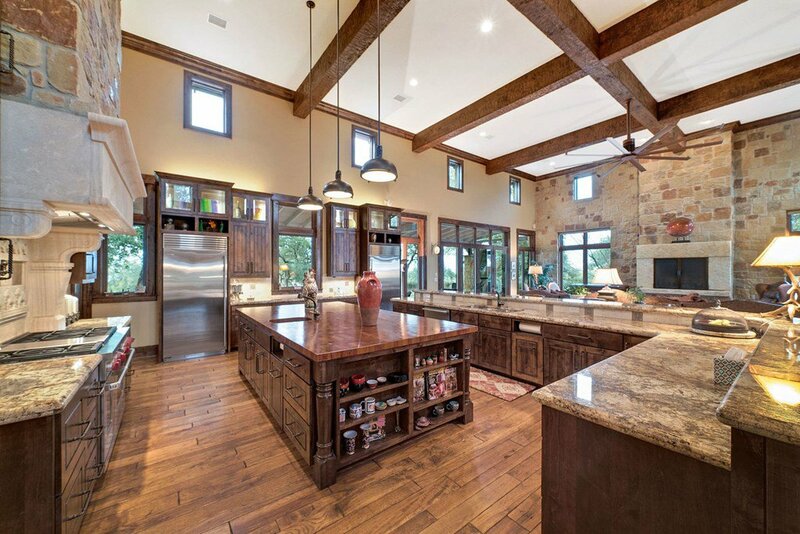 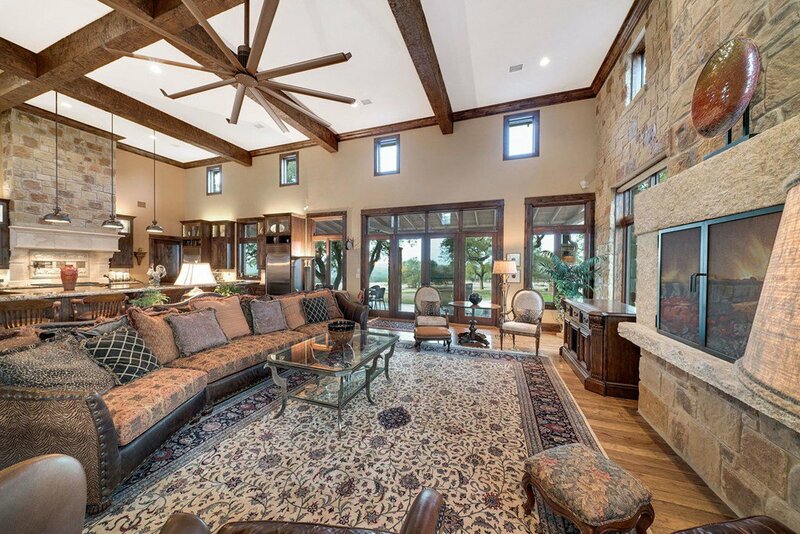 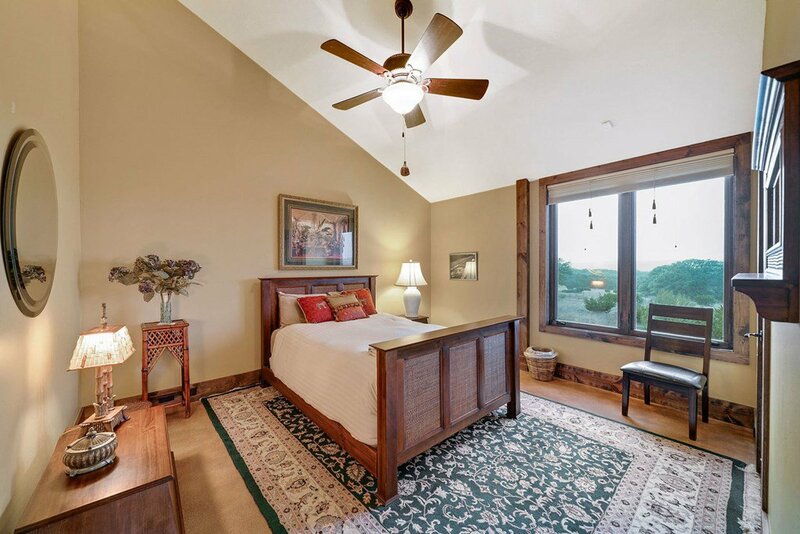 Spectacular custom hill country home on 20 acres. 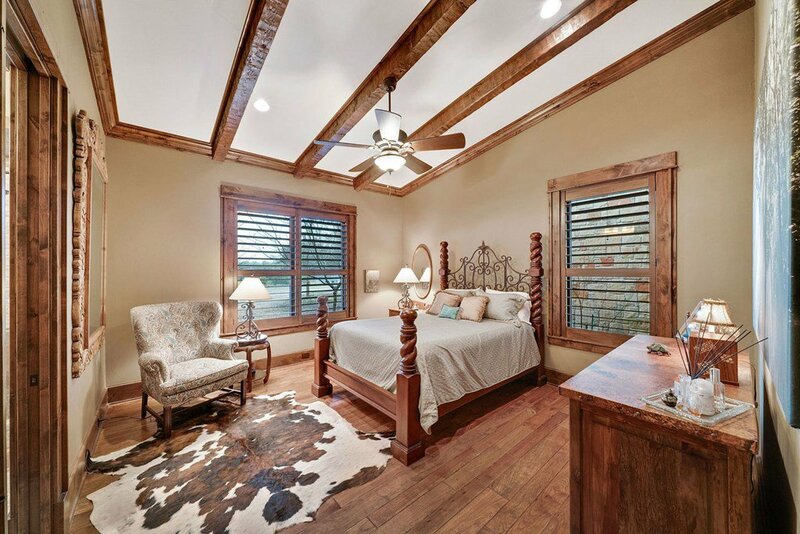 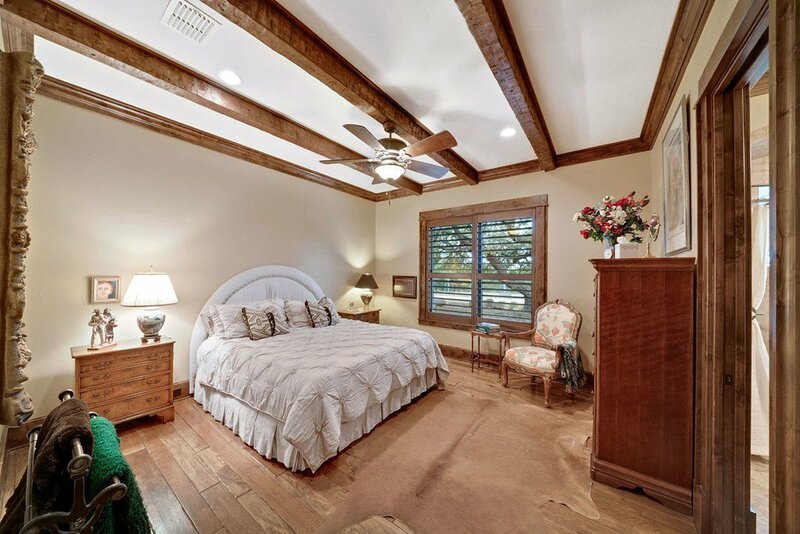 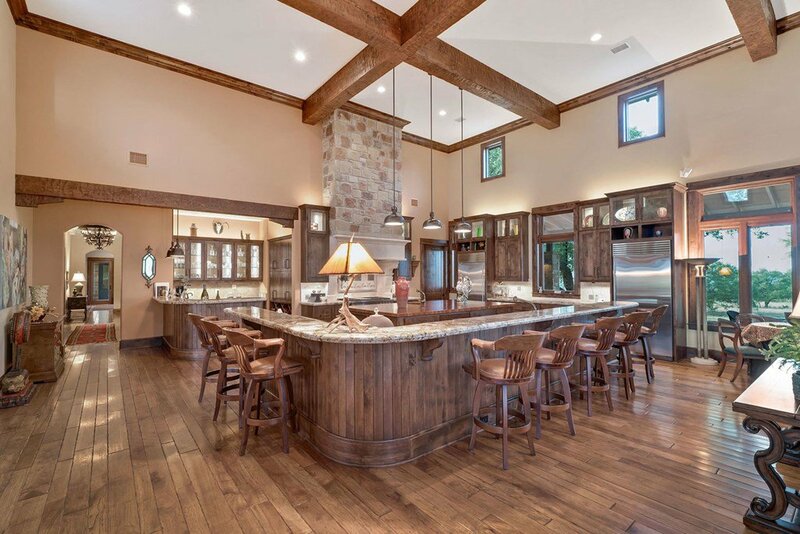 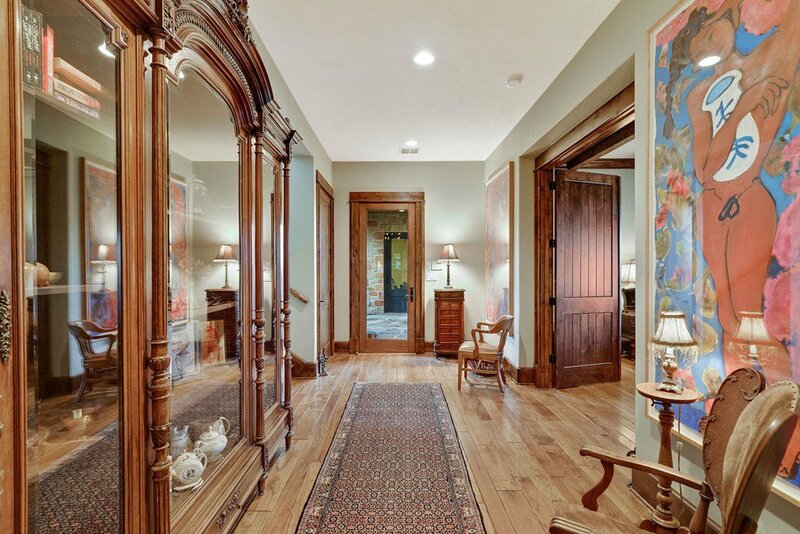 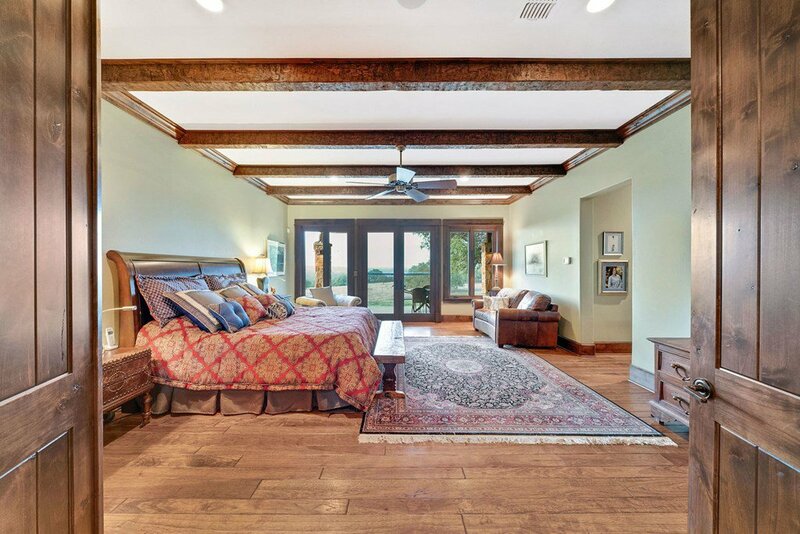 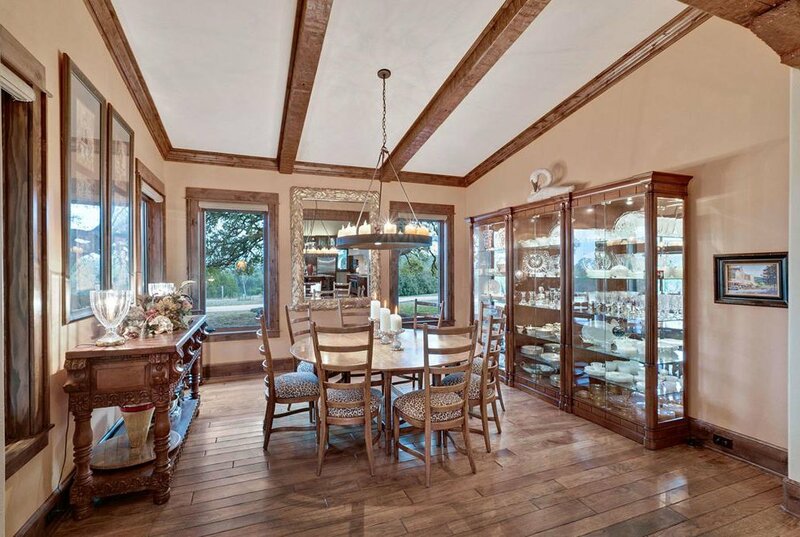 Home features pecan and hickory wood flooring. 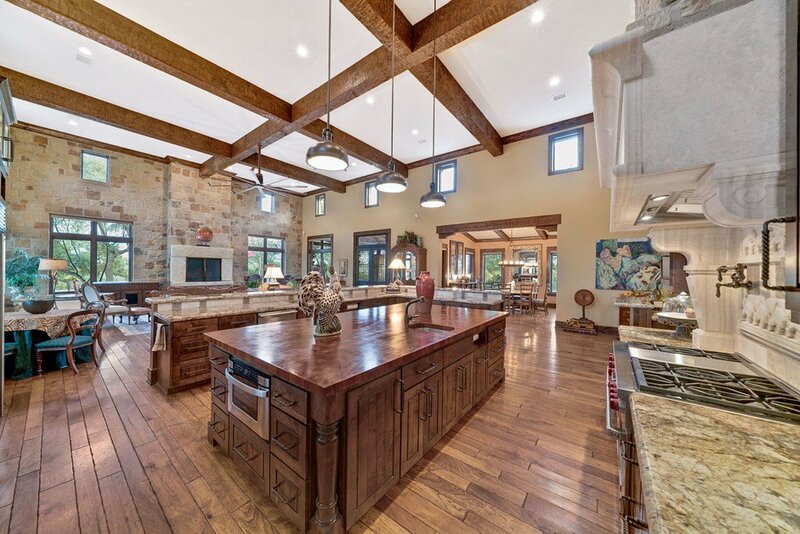 Knotty alder wood doors and cabinets throughout, gourmet kitchen w/Wolf stove, convection ovens, 2 dishwashers, 2 sub-zeroes, 2 disposals. 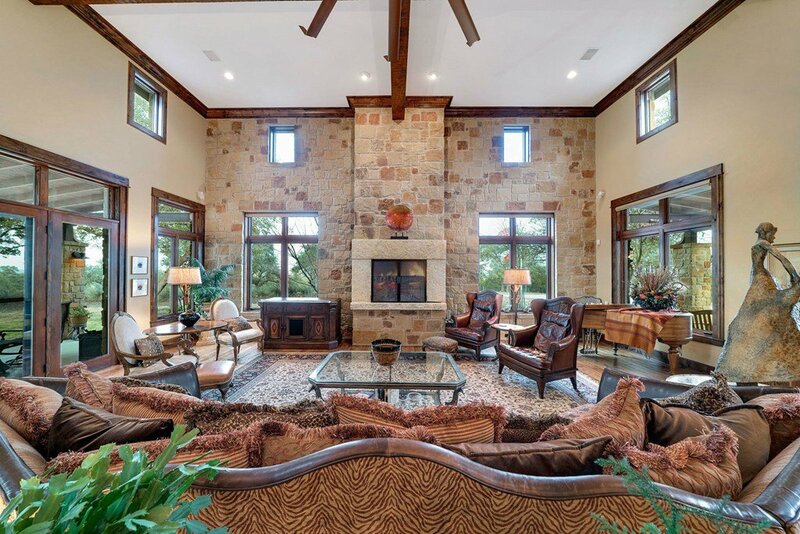 Great room w/high ceilings, large windows. 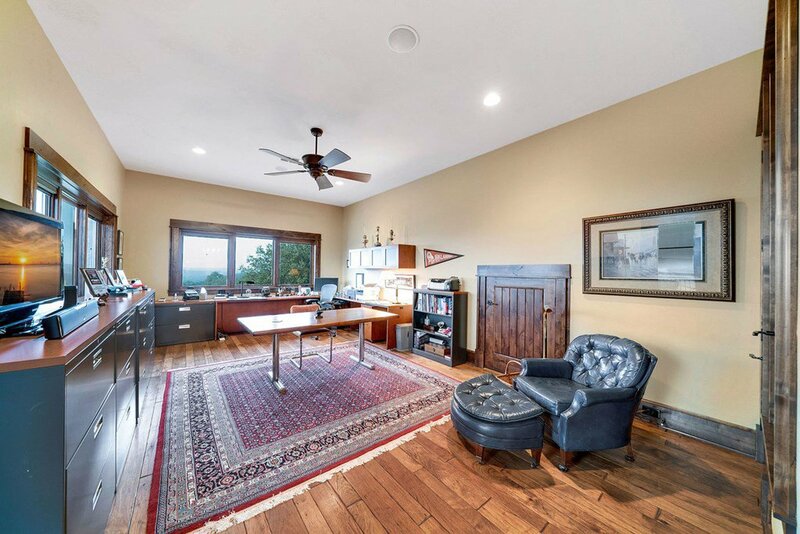 Three bedrooms w/full baths, office up can be 4th bedroom, also has full bath. 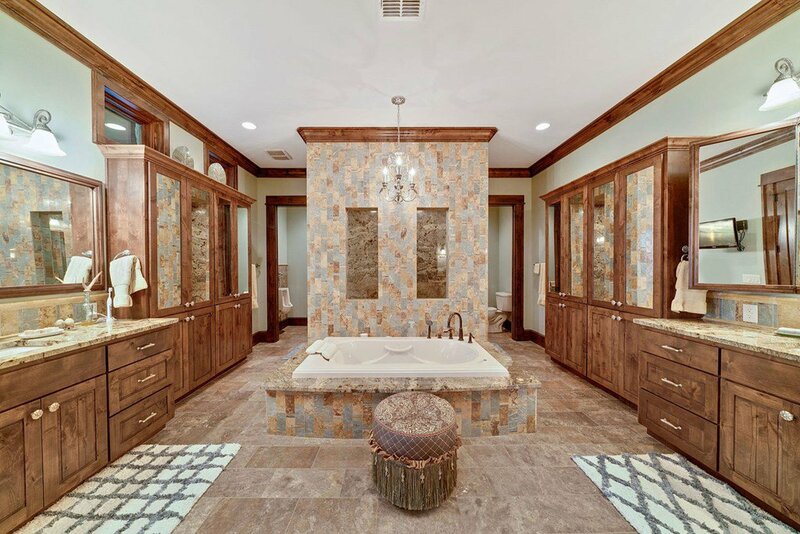 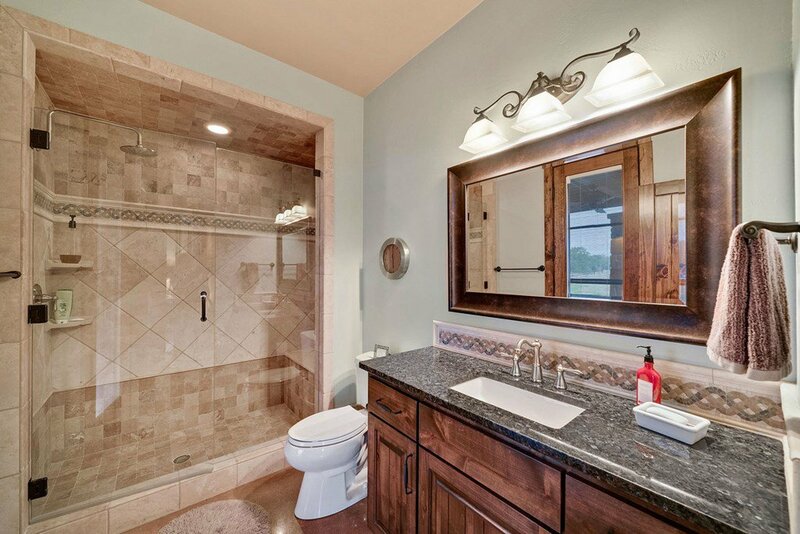 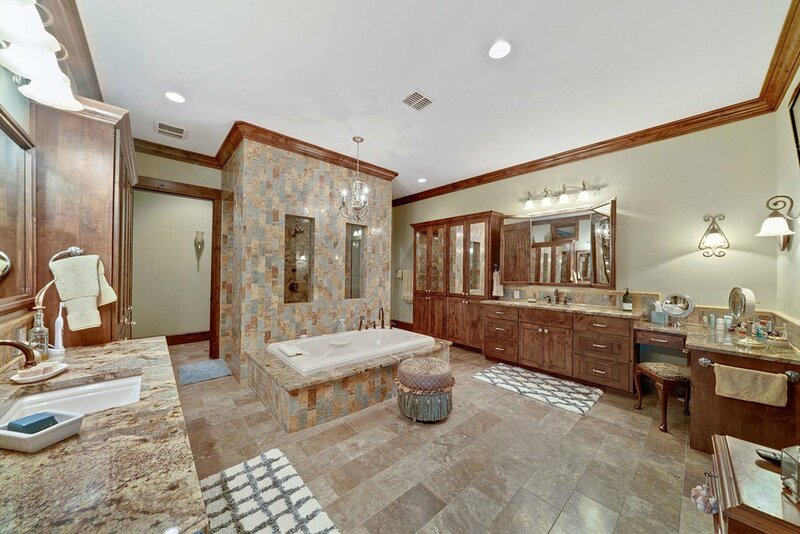 Master bath has his/hers large closets, walk-through shower. 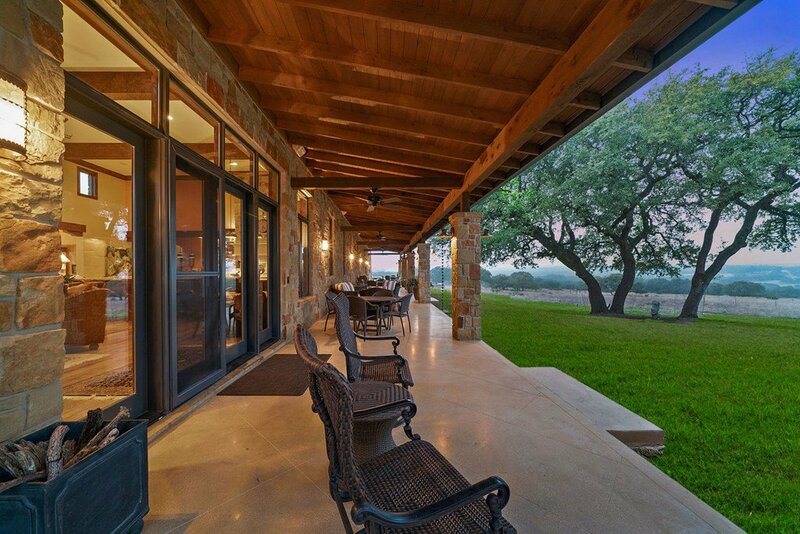 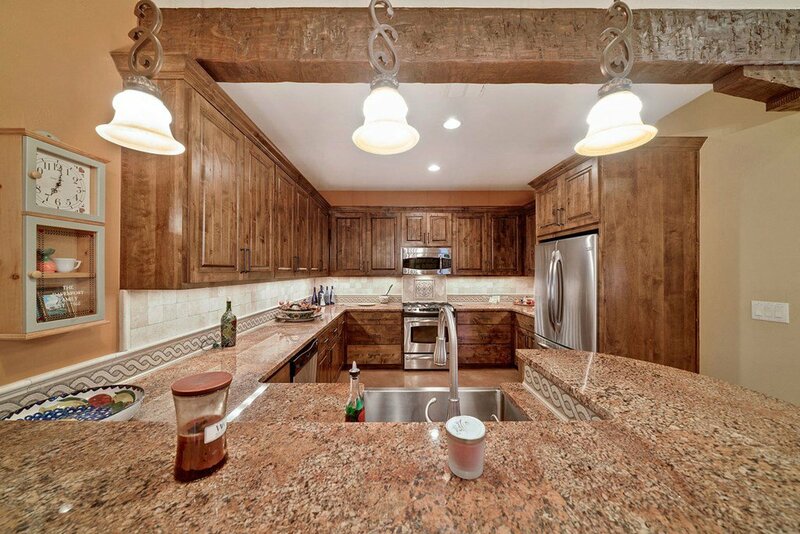 Exterior features oversized porches, fully equipped outdoor kitchen, infinity pool w/waterfall, fire pit w/gas starter. 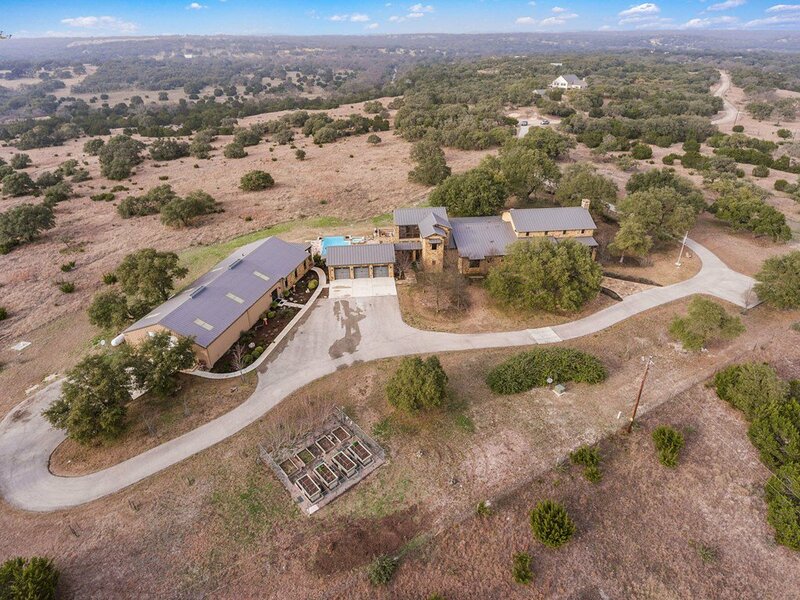 Water well, 20,000 gal. 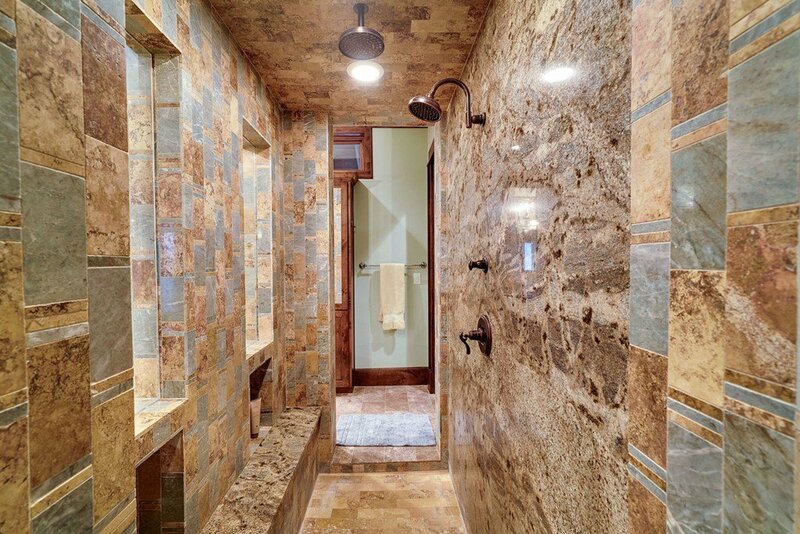 water catchment system. 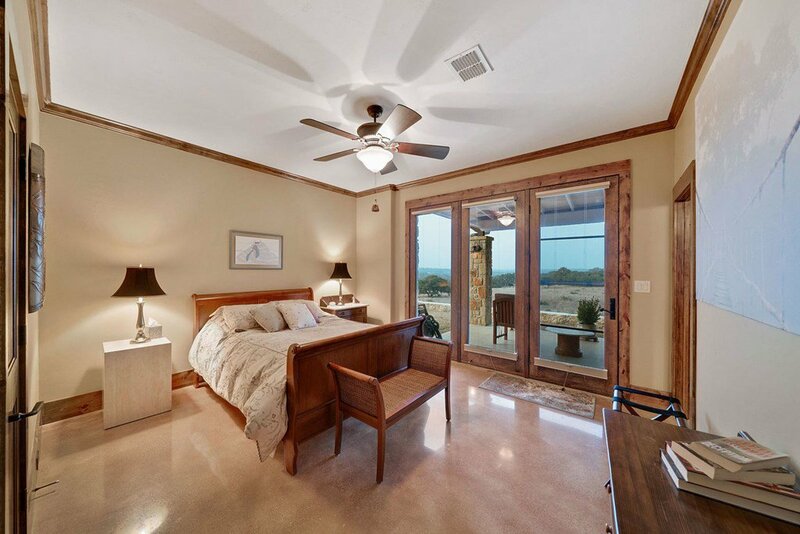 Guest house is 1,286 sq. 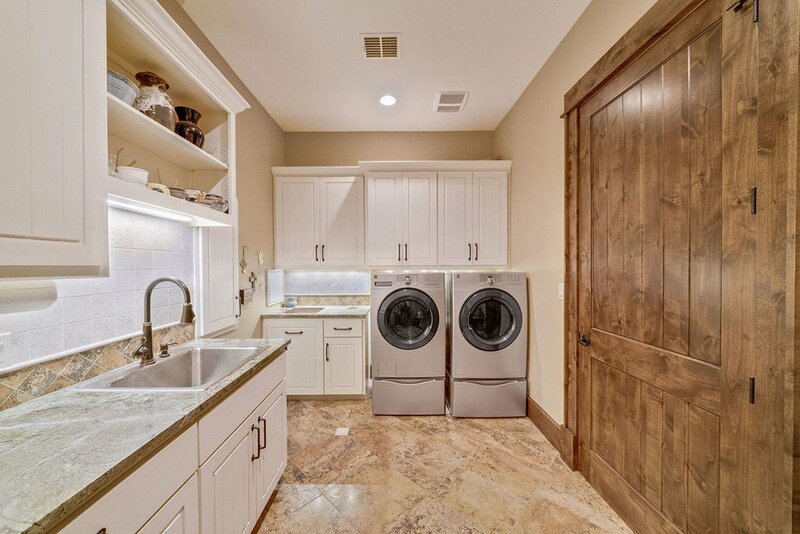 ft. of total sq.ft., w/2beds, 2 baths, GE kitchen appliances. 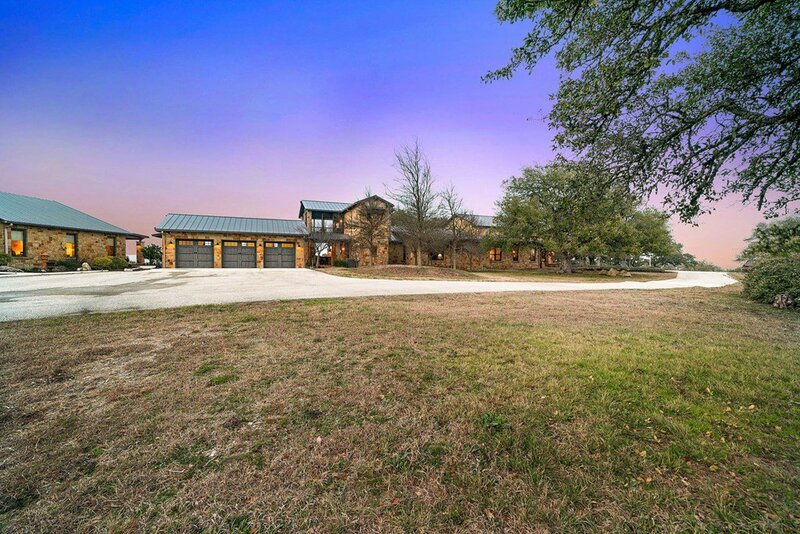 Property features a 1,999 sq. 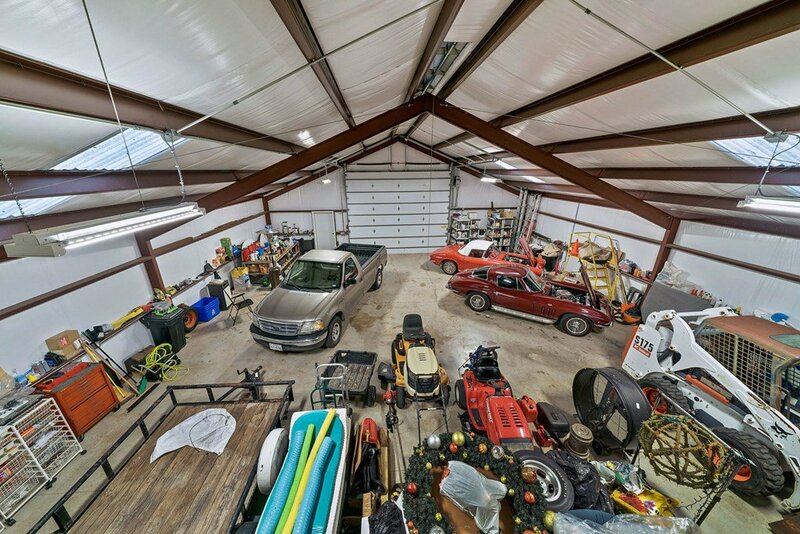 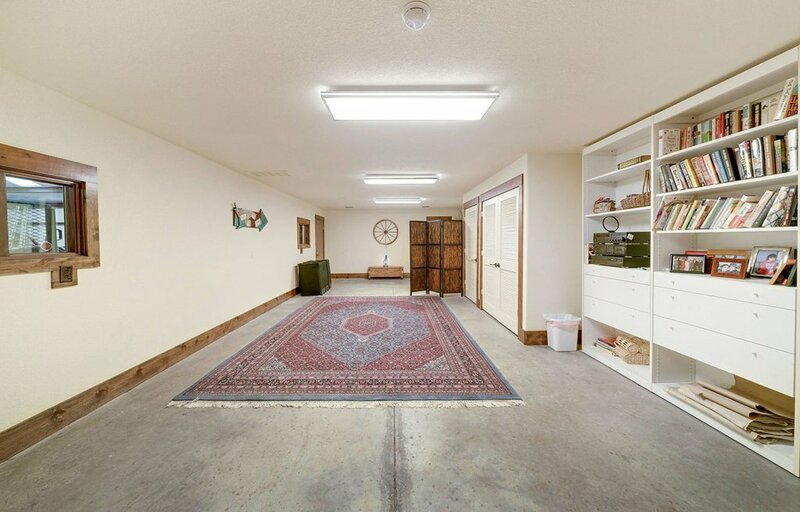 ft. barn, an oversized 3- car garage can accommodate SUVs and trucks.